The developed world has gone crazy for Groupon and other daily deal websites where consumers are offered one deal or coupon each day in their e-mail inbox. If enough people purchase the coupon, then the deal is active, thereby making the savings a social affair between friends. But if you’re not on top of things, you could be wasting your money on Groupon, especially if you let your coupons sit idle or even expire. Groupon can be addictive, and you’re not alone. There are other ways to find deals if you feel you are wasting your money with Groupon. Deal-a-day websites are a big business in America and abroad. According to Kiplinger’s Personal Finance, consumers spent more than $870 million on offers from social deal websites such as Groupon and Living Social in 2010. 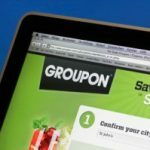 Groupon is preparing an initial public offering (IPO) so you’ll soon be able to buy shares of the company on the stock market, and spending on deal-a-day websites is expected to grow to over $4 billion annually in the next four years. According to research done for the Harvard Business Review on Groupon data, the average Groupon deal sells approximately 550 coupons at an average cost of $34 per user. It’s not uncommon for fans to buy two or more each month and to have several sitting unused in their accounts. In fact, according to Seeking Alpha, up to 30 percent of all Groupons purchased are never redeemed. 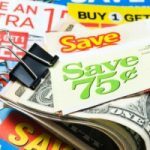 How many of these coupons do you purchase each month? And how likely are you to actually use them? Having an incredible offer appear in your e-mail inbox every morning can be a hard temptation to resist. If you purchase two Groupons per month at an average cost of $34, you would purchase $816 in coupons per year. If you let 30 percent of them expire, that’s $244 down the drain. While this may not seem like a huge amount of money, it’s just one example of how frivolous impulse spending can eat away at your monthly budget. Sell your Groupons. There are several websites that have sprung up that let you sell your unwanted Groupons and other coupons. Some of the most popular websites that help you resell Groupons are Lifesta.com, DealsGoRound.com, CoupRecoup.com, and Dealigee.com. Trade your Groupons. You can also consider trading your Groupons if you have coupons that will expire before you can use them. Consider listing your Groupons on Craigslist, Twitter, or even Facebook. You may find that one of your friends would like a Groupon that you cannot use. Don’t buy them in the first place. Not buying the Groupon in the first place may be one of the hardest things to do if you find yourself addicted to the offerings. Resisting the temptation and unsubscribing to the daily e-mails may be one of the best ways to save your money from being wasted. Everyone wants to save money and find a deal. In fact, almost 100 million adults use some type of coupon when purchasing items online. But, there is a real danger in having a carrot dangled in front of you every morning via e-mail to shop and spend money that may not be allocated in your budget. Groupons and other deal-a-day coupon website offerings are often budget busters, but it doesn’t have to be that way. There are ways to combat wasting your money with Groupons. Do you have trouble turning down great deals that you receive through e-mail advertising from sites like Groupon? How many Groupons have you let expire? Do you have any other tips for handling the coupon craving? helpful advice. I usually look for coupons on those websites. Try Dobango.com (web site and an iPhone app) which is better than Groupon as it provides merchants and consumers more control in a fun way. Consumers win deals by playing fun games. I’ve purchased well over 20 vouchers from deal a day websites. So far, only 1 has gone unredeemed. The key is to buy vouchers from establishments or for services you know and enjoy. It’s also important for the business to be conveniently located to where you either live or work. Although it’s becoming increasingly difficult to find good deals, I still believe “deal a day” web sites can save you quite a bit of money if used responsibly. I’ve purchased 3, and used them all. That was last year; then I unsubscribed because I was tempted to spend money. every. damn. day. Just like the retail sale ads that come to your inbox. I now filter those too, directly to a folder where I can go if I am planning to buy something. I love Lauren’s idea of immediately printing it out & putting it up. Reminders to use Groupon coupons I’ve purched arrive in my email monthly. I’ve used these coupons for several things and got great deals. None of mine have gone unused – that’s just nuts to permit that to happen. I would say that if this happens to you more than once just stop buying them for awhile. Another tip I try to use when redeeming them is to limit my family to the deal and not purchase more outside the amount the coupon is for – this includes shipping and taxes if those are charged. If you have the Groupon app on your smartphone, Groupon sends you reminders when your Groupon is a couple months away from expiring. The psychology behind Groupon is unbelievable! All these awesome deals you must have at a great discount…it’s too good to be true and far to tempting if you’re someone who is an over shopper. It’s a no wonder 30% go unused. I’ve only ever bought 1 Groupon, it was $10 for $20 to spend at Barnes & Noble. I ended up using it online and used cash-back shopping to save more. And a followup — GrouponÊ»s website clearly states that if a deal expires, the amount you paid is good indefinitely. So if you spend $30 on a Groupon worth $60 at a restaurant and it expires, you still have a $30 credit to that restaurant. Not ideal, since your money is now locked to that restaurant, but itÊ»s not thrown away. Whenever I buy a Groupon (or similar offer), I print it out as soon as itÃŠÂ»s ready and tape it up on the wall. This is a good visual reminder to cut back if there are too many hanging there, but also a good reminder to use them. My husband and I eat out about once a week, so we just look at the wall to decide what weÃŠÂ»re most in the mood for. None of our Groupons have expired, and weÃŠÂ»ve definitely saved some money in the process. Like many things relating to money, it can be a good deal if you have the discipline to not go overboard and use what youÃŠÂ»ve already bought.